As he handed me a velvet pouch containing the fragrance he’d just prepared before me from a dozen bottles of oils and essences like some mad scientist, he beamed at me with sparkling eyes and made me promise multiple times I would not give up on my passion and “keep performing”, whatever that meant. These were the only words we exchanged, but he was adamant I must trust him and keep performing, whatever might happen. It all sounded a bit like crystal gazing at that moment, but, careful not to dismiss his blatant enthusiasm, I did make the promise. That was a month before my life got flipped on its head in a way I had never expected. I like to think of Ramakrishna’s words as some kind of a perfume prophecy in hindsight, or in any case an appropriate subject matter as I re-enter the blogging world from a long silence. Well, hello there. 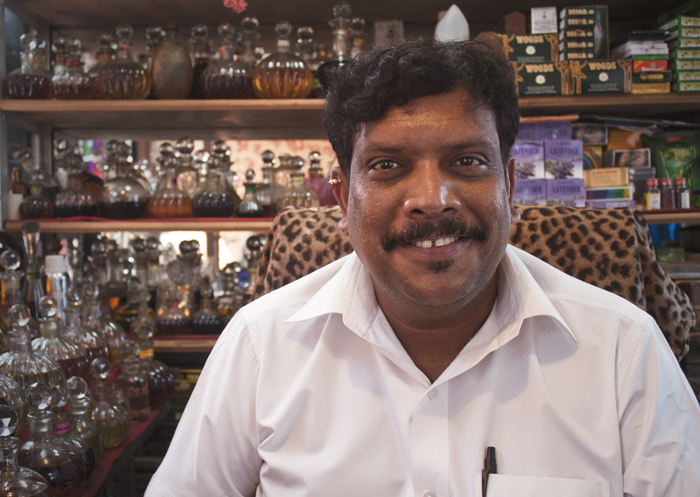 I was directed to Ramakrishna’s little shop in Mapusa Market after I encountered a few very nice smelling people (my smelling sense is very preponderant in my life – read: I have a big snoot) who told me about this man that had made a perfume for them based on what he saw when he looked into their eyes. Obviously that sounded all sorts of amazeballs to me, so meeting this perfume genius and having my very own Indian custom-made fragrance created became top of my list and I was overjoyed when a bunch of friends agreed to make the drive from Arambol to pay him a visit. Mapusa is not a super interesting town in and out of itself, but you are likely to pass through it if you travel around in Goa. 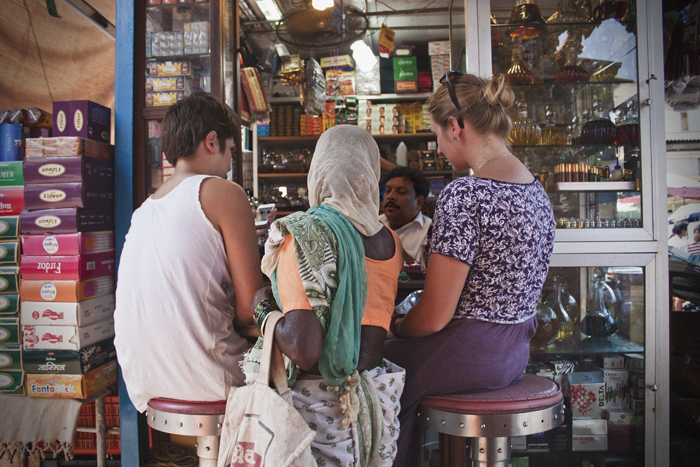 The market is a great place to buy all sorts of trinkets and souvenirs at a much lower price than what you would find at nearby beaches and a visit to Ramakrishna should not be missed for a unique souvenir for yourself or loved ones. 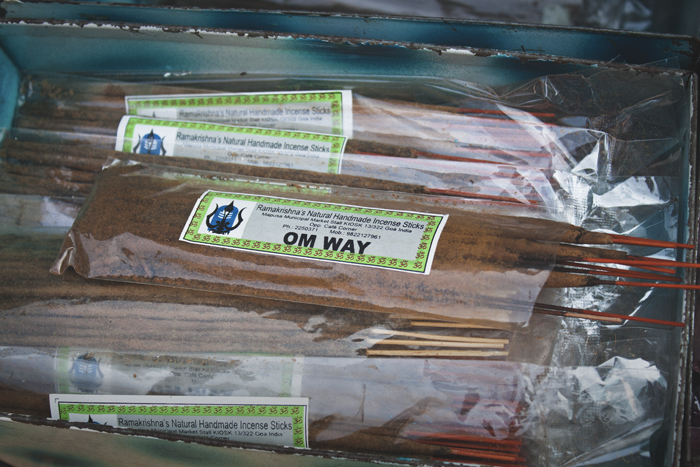 Apart from the custom made perfume service (which he can do for you by staring into your eyes or for a loved one or friend by looking at a photo of them), he also sells an amazing range of incense that you must absolutely stock up on if you are into those kind of things. They are seriously heavenly. 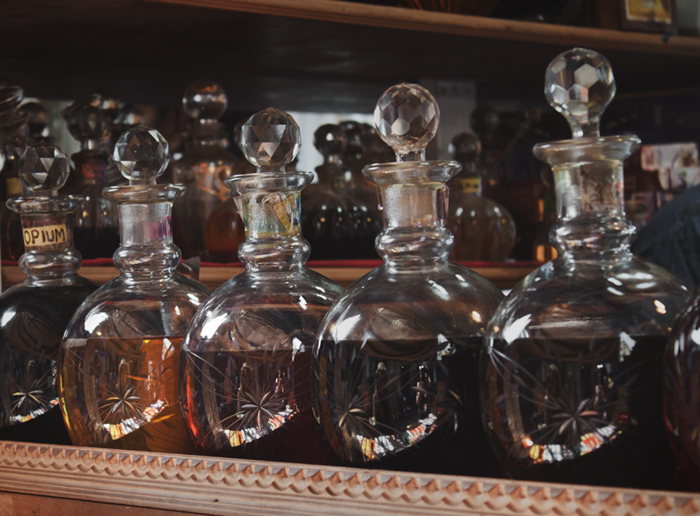 I’ve read that you can also buy essences from him that you can use to make your own cosmetics or candles. The possibilities! 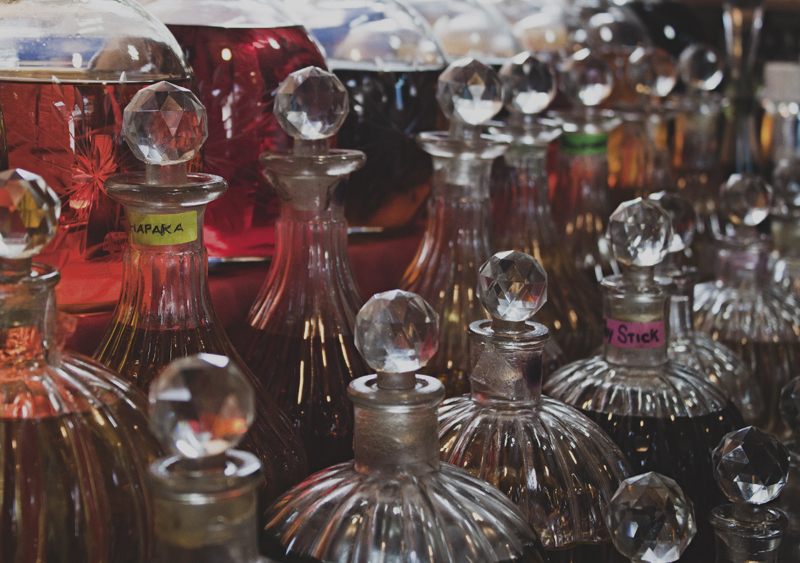 The market is easy enough to find, and you can just ask around for the “perfume man” as he seems to be a bit of a celebrity around town. As well as having my own perfume made, which smells fruity, sweet, totally unique and unlike anything I’ve ever worn, I also showed him a photo of Richard. He stared at it long and hard before declaring: “very responsible man, very caring, I make for him something fresh, like the ocean!” which was the best description and diagnosis I have ever heard by a stranger who doesn’t even know him for the man I have shared my life with and loved for ten years now. Little did I know this would be my last present to Richard before we each went our own way and how much Ramakrishna’s word would resonate with me later on. 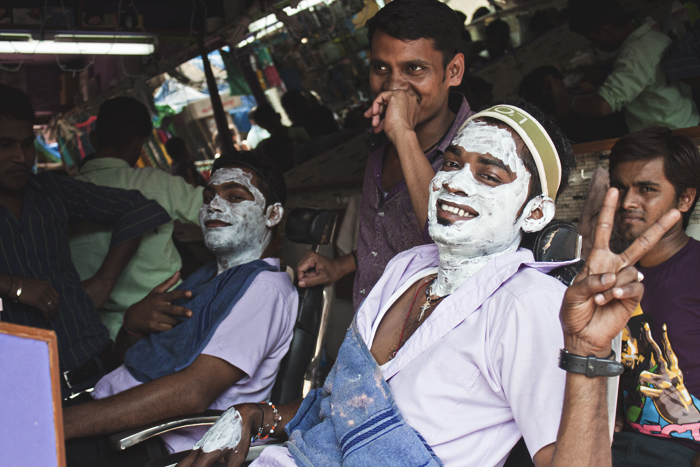 I promised Ramakrishna I would keep performing, so I am, and smelling fancy at that. 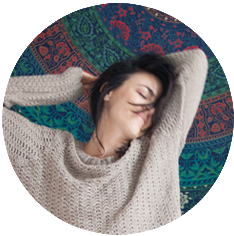 Life is so unexpected and I am strangely grateful for the curveball that is allowing me to delve deeper into my inner self and discover all sorts of magical things hiding in there. Watch this space, Ramakrishna. Well done for getting back on the blogging. I’ll be excited to read more. India is ripe for story!